I went a long, long time without really questioning why “easter eggs” were called “easter eggs,” because I simply presumed that the term we’ve come to associate with these intentionally hidden little gags just referred to easter egg hunts in general. But, as with most terms in life, there’s a reason as to why these things are called what they are: in this case, the term “easter egg” is apparently derived from the The Rocky Horror Picture Show, that campy movie from 1975. How? 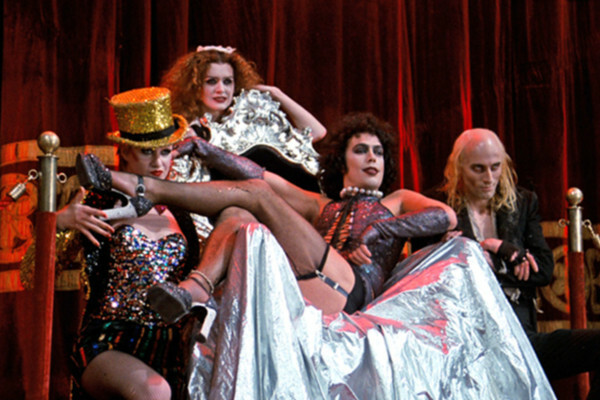 Well, according to a few sources, one day on the set of Rocky Horror, the cast decided to have a traditional easter egg hunt, ’cause why the heck not, right? But apparently some of the eggs were hidden so well that nobody found them, and when filming resumed, some of them accidentally ended up appearing in the frames of the movie. Now there’s an origin story (check beneath Frank N. Furter’s throne for a glimpse of one egg). So now the movie-going world is totally and utterly obsessed with these things, because what use is a movie unless its crammed with hidden messages, jokes, and things that we can point out to other people to make us look smart?